In 2008 I ran a global survey on knowledge manager professional development and experience. It found that only 29% of knowledge managers had been in their role for more than 4 years, and only 25% were confident of moving on to another KM role. The average “lifespan” among respondents was something like 2.5 years. Nick Milton recently surveyed his KM contacts on LinkedIn and found that knowledge managers average lifespan seems to last about 6 years – which shows progress! About 60% will survive beyond 4 years, double my figure a decade ago. However, only about 25% of his subjects are likely to have had a longish (8+ years) career in KM. Progress, but slow progress! So you have built and implemented a taxonomy but search is still not returning the desired results. What do you do? Taxonomy alone is limited in what it can do. Search alone is also limited. Together, they become much smarter. If taxonomy and search are integrated, they can be very powerful and vastly improve the user experience. In this article, inspired by the work of Callender, Morville and Nichani (see references in the paper) Patrick outlines 10 search patterns that taxonomy and metadata can support. He lists their benefits, dependencies, potential applications, and illustrates them with real life examples. 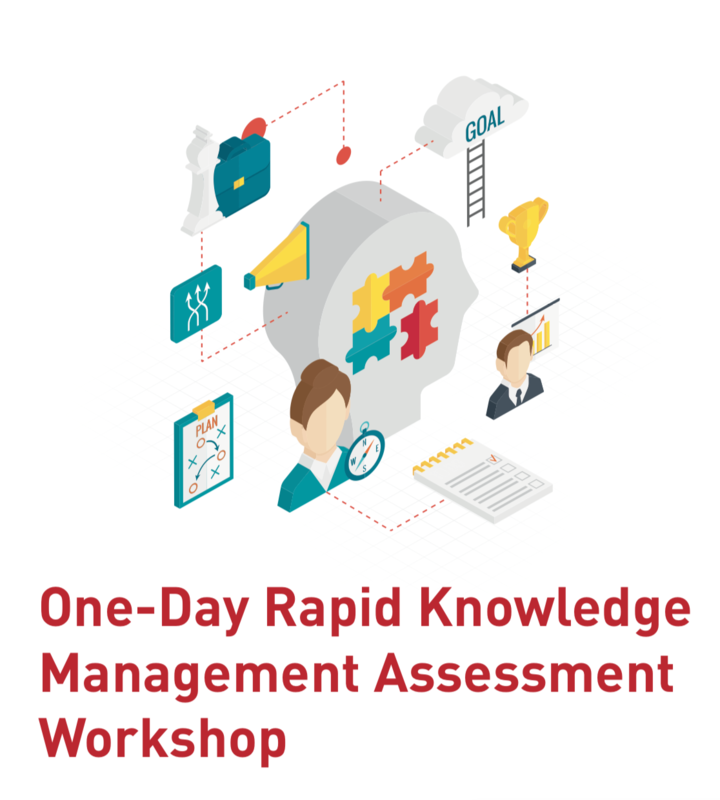 Late last year we released our 1-day Rapid KM Assessment workshop, for organisations who want to figure out quickly where they stand in KM and in which direction they could proceed. The videos below give an overview of the workshop. We’ll be happy to hear what you think. Today seems like the umpteenth time this year that I’ve seen a spec for a taxonomy/metadata project that assumes you can just hire a consultant to look at your existing taxonomy/metadata model and critique and refine it, without any provision for analysis of business and user needs. It’s been getting so bad, that we at ISKO Singapore even ran a special workshop on that problem among others. Then the nice people at Taxonomy Bootcamp wrote me an email suggesting I answer one of three questions to help promote my session there this November. Question 3 was: What’s the secret to getting buy-in and funding for taxonomy projects or to expand their use in the organization? There is no secret, it should be blindingly obvious, but it is often ignored. Buy-in and funding (and subsequent support and use) flow directly from the taxonomy and metadata work being USEFUL. (1) It needs to be useful to the people who are supposed to be using the taxonomy either directly within a browsing/tagging interface, or indirectly through such tools as search and auto-classification. It needs to help them do their work. (2) It needs to be useful to the host organisation in supporting and furthering its mission and goals. There is a widespread misconception that taxonomy design is a task for a technical expert who can look at a body of content and design a perfect taxonomy for it, or can critique an existing taxonomy without reference to business and user needs. If you can’t get your feet dirty in the guts of the organisation, you can’t design or refine a taxonomy that will be useful. If you can, then you’ll find you have all the buy-in and adoption you need. If you are scoping a taxonomy project, PLEASE don’t forget to scope in the work required for analysing business and user needs! Here’s the link to our August issue of the Straits Knowledge Bulletin. Lots of good stuff on upcoming events, knowledge audits, KM Assessments, and a book review! What is becoming clearer and clearer is that the larger classical developed western organisational world of working (with my sincere apologies to those immediately feeling excluded when they may not be working in this arena – but hopefully you will still learn something from reading on) is going through a massive transformation which they have very little control over (or sometimes proper understanding of): this transformation, triggered by huge advances in technology is having large ripple-effects on how we work, literally and figuratively speaking. This covers everything from our physical working environment (transitioning from permanent office fixtures to more hot-spotting / remote-working) to team members (from fixed functional organisational set-ups to more dynamic and agile mixed project-based specialist teaming) to technologies (multiple applications providing similar solutions which are constantly evolving while personal interactions with devices is rapidly-evolving whereby daily use of augmented reality (AR) and voice activation (VA), amongst other disruptors, is not so far-fetched anymore)… Taking all this change into account and how it impacts on anyone who still needs to deliver on daily work is a difficult – and usually negative conversation. Gallup tracks this fascinating employee engagement perspective which opens up some frankly scary reading (scary for employers, that is; their findings make ready sense for those who have experienced classical western organisational environments); they suggest around 85% of the global workforce is not engaged in their work! Obviously the reasons amongst these are very widespread – and while some of these cannot be ‘fixed’ per se by the employer, there are certainly ways and means which can help enhance and reduce these at a team and individual level (organisationally, this is a different beast). But it doesn’t have to be this way! My belief is that we need to (re-)focus on the human intellectual component when it comes to daily work: this means looking at how we as individuals work. The emotional and conscientious connection which a worker makes with his or her work can only really be enabled when that person is properly intellectually engaged (which then enables mental, emotional, sensory and physical engagement) – something which takes a combination of interventions. Funny enough, most of these interventions borrow from the suite of Knowledge Management practices! I’m talking about looking at how one works by adopting the four key pillars as with KM: we look at people, content, processes (and equipment), and technologies as key influencers – and disruptors. This means then putting on an ‘intellectual’ lens when examining how these four key factors impact on how one carries out his or her work: examining these through this lens will not only immediately understand how the individual is approaching and executing his or her task, but also helps raise awareness at the supervisor / manager level around what facilitates this exercise, what current distractions are apparent, and what can potentially help overcome or avoid these disruptions. Adopting this mindset not only shines light on more effective ways of working (= innovation? ), but then opens up the up-/down-/sideways-reporting components which enables greater flow of understanding and communication – effectively allowing for better knowledge-sharing. I will go into more detail around each of these four components and interventions in my next postings – but I have seen this approach work (without having recognised it for what it was at the time). And this was accomplished while not having waving the ‘KM’ hat, but rather in adopting an operational improvement approach with a focus on the worker’s individual needs and challenges! Simplistic? Perhaps. Call me naïve and a throw-back, but at the end of the day, I still do believe in that old mantra: a happy worker is a productive worker… and which worker is not more happy than when intellectually engaged?